The (Hopeful) Librarian | Book blogging from the trenches. Recommended? Dear god yes. This book is incredible. Review: Room is told entirely from Jack’s point of view, which is an absolute stroke of genius for a book that could otherwise so easily become a melodramatic mess. I don’t think I’ve ever read a five-year-old written so convincingly. Jack is smart, curious, devious, adorable — even I liked him, and I don’t usually care for children, fictional or otherwise. Oh, and Jack is brave, incredibly brave for carrying through his Ma’s escape plan while he still only vaguely understands that there is something to escape to or from. 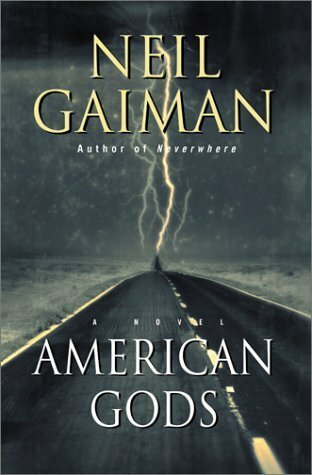 I’m a little afraid of giving away too much of the plot, because I read this book in three large gulps (interrupted only by food and sleep) and I remember it largely as a glorious experience of discovery. Rather like being a five-year-old, actually. Not everything discovered is good, and certainly Jack doesn’t like it all (he’s not terribly fond of wind the first time he meets it), but it’s all thrilling. My favorite thing about Room, though, was Ma. Although she has a name and I’m sure it’s mentioned in the text, Jack thinks of her just as Ma, and, with good reason, she’s thought of herself as Ma for the past five years – five years spent in awful captivity. She’s twenty-six, but the last time she was in the world she was nineteen and just going to college. Now she’s a mother and a victim and a survivor and a celebrity, and while she doesn’t handle it all perfectly or with absolute grace, she handles it, and I think that’s really the most important part. She handles it, and she’s amazing, and (not to spoil you or anything) she and Jack are going to be okay. For a book with such a bleak premise, Room is really amazingly uplifting and optimistic. (I shy away from that horrible word “heartwarming,” but I think it’s that too.) Don’t mistake this for a Lifetime movie; it’s plenty gritty and awful in parts. But Room is absolutely one of the best books I’ve read this year, and possibly one of the best books I’ve ever read at all. 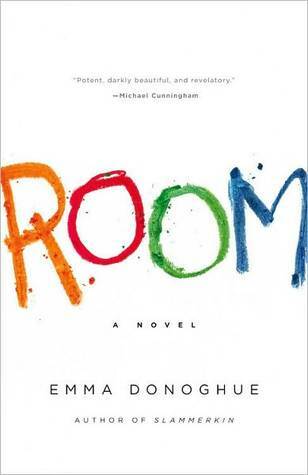 Room by Emma Donoghue was published by Little, Brown & Company on September 13th, 2010. Find it on: Goodreads, Indiebound, Barnes & Noble. 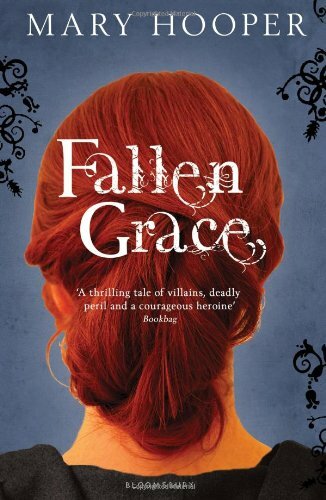 Reviewed this week: Fallen Grace by Mary Hooper, The Zombie Autopsies by Steven C. Schlozman, “Good Girls Go to Heaven” by Seanan MacGuire. Kind of a negative week for books this week. Sorry about that, next week will be better. In the world: The reason I’m so behind on book reviews is that I spent the weekend with my little sister (who just turned 23). I haven’t seen her since Christmas, so she came up for the weekend and we were going nonstop, to the zoo, to the movies, to the House on the Rock. This week’s online short fiction is a wonderful take on the old “hitchhiking ghost” urban legend by Seanan MacGuire. Rose Marshall died in 1945, and she’s walked the ghostroads ever since, those paths that lead you just between the worlds of the living and the dead. Sometimes she helps people over; sometimes she shoves them back on their side. It’s a way to get by. 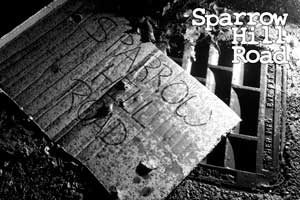 The first story in the Sparrow Hill Road collection is “Good Girls Go To Heaven.” It’s a wonderful, creepy noir urban legend – and it’s the first of twelve! Enjoy. 1. It sounds like Borders is going down. This is…less than awesome news, personally and for the industry. (My roommate is one of those 11,000 people now looking for a job.) Borders has been the ugly stepchild of the big bookstores for a while, but it’s still sad to see them go. 3. I have been loving the Breathing Books tumblr blog. (Books are pretty.) This shelf really caught my eye, though – incredibly nifty, although I’m afraid that’s a waste of a space that could fit a five-shelf bookcase that I simply could not afford. 4. Have you seen the Giveaway Blitz for Eve Langlais’ Delicate Freakin’ Flower? 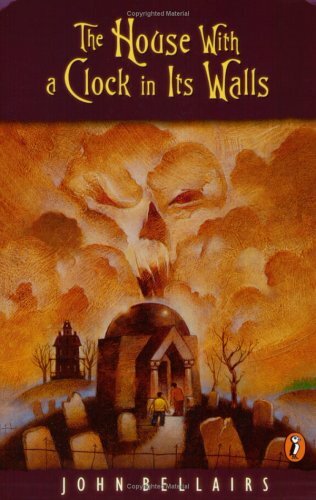 I don’t really read romance novels, but if I did, this one would be more up my alley than most. My friend the Inspector Librarian is giving away copies; go! see! 5. I have given in; I am going to read A Game of Thrones. 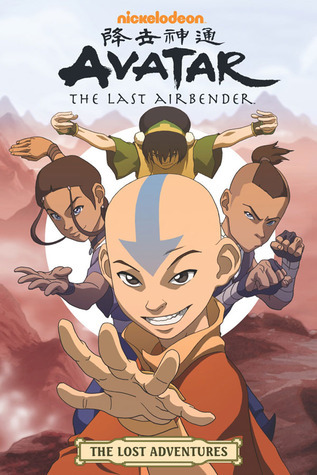 I dislike unfinished series, and after seeing how crazy people were getting about the wait for A Dance With Dragons, I was going to just wait until the whole series was out to get into it, but I’ve been convinced. I’ll be starting sometime in the next couple of weeks — how would people feel about a read-along? Where I got it and why: as an uncorrected proof from Tor Publishing in exchange for a fair and honest review. Thanks, guys! In Iskryne, the war against the Trollish invasion has been won, and the lands of men are safe again…at least for a while. Isolfr and his sister, the konigenwolf Viradechtis, have established their own wolfhaell. Viradechtis has taken two mates, and so the human pack has two war leaders. And in the way of the pack, they must come to terms with each other, must become brothers instead of rivals — for Viradechtis will not be gainsaid. She may even be prescient. A new danger comes to Iskryne. An army of men approaches, an army that wishes to conquer and rule. The giant trellwolves and their human brothers have never hunted men before. They will need to learn, if they are to defend their homes. Review: The Tempering of Men is the sequel to A Companion to Wolves, which came out in 2007. It picks up right where Companion left off, at the end of the trellwars, and this is the story of how the wolfcarls and their intelligent wolfish brothers and sisters learn what to do with themselves now. The wolfhaellen were formed to keep men safe from the trolls of the north, but now that the trolls are gone, is there still a purpose to the wolf-and-human packs? Where Companion was the story of Isolfr learning how to live as part of the pack and how to become the brother of a konigenwolf, a queen wolf, Tempering follows several different characters, all of them being drawn out of their comfortable place in the pack and into new roles. Vethulf and Skjaldwulf are Isolfr’s wolfjarls, the pack’s war-leaders, still learning how to rule together; Brokkolfr is one of the only survivors of his previous pack and is learning his place (and regaining his confidence) in his new one. Between the three of them you have a great range of characters, providing very different points of view on their changing world. Skjaldwulf is my favorite, though. He’d been in training for a poet before he bonded to a wolf, and it still shows in his sense of the dramatic and his instinct for narrative; he knows he’s in a story, and he tells it as he goes along. He’s frighteningly smart and more ambitious than he gives himself credit for. Although his moment of glory is at the AllThing, my favorite scene was his conversation with the invading Rhean captain. Skjaldwulf is not willing to see his countrymen become vassals to a foreign empire — but he knows that such an outcome would not be all bad, either. His internal tension is enthralling to see. The cultural details, both historical and invented, are just lovely — the politics of town and wolfhaell, and of the northern and southern alfs; the godsmen and sworn-sons and city jarls. This is a huge, wonderful, complicated world, and The Tempering of Men gives you plenty of opportunity to indulge in exploring it. I love both Bear and Monette’s work, and with The Tempering of Men, they are continuing to work wonderfully well together. (For more examples of their collaboration, check out their short story “Boojum” in the Fast Ships, Black Sails anthology, or the many-author shared-world series Shadow Unit.) And if all goes well, there’s a third book in the Iskryne series scheduled for 2013, An Apprentice to Elves. Hurrah! The Tempering of Men by Sarah Monette and Elizabeth Bear will be published by Tor in August of 2011. Find it on: Goodreads, IndieBound, Barnes & Noble.